This 338 Lapua cartridge from Federal’s Gold Medal line of ammunition is crowned with a 250 grain MatchKing projectile, Sierra’s premiere target shooting bullet. The MatchKing boasts a font of features to amplify its accuracy. 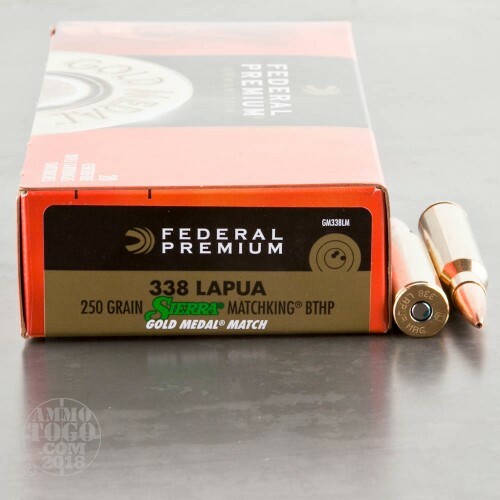 Its hollow point meplat is not intended to affect its terminal performance; rather, it grants the bullet resistance to wind deflection and is exceedingly narrow to enhance its aerodynamic profile. The MatchKing’s thin match jacket is drawn to practically flawless concentricity, and its weight is just as meticulously controlled for. 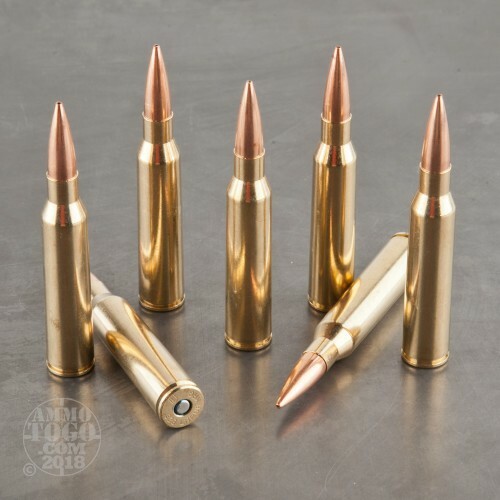 This is a boat tail bullet as well, and as such sports a tapered base to raise its ballistic coefficient, flatten out its trajectory, and further immunize its flight against the influence of wind drift. 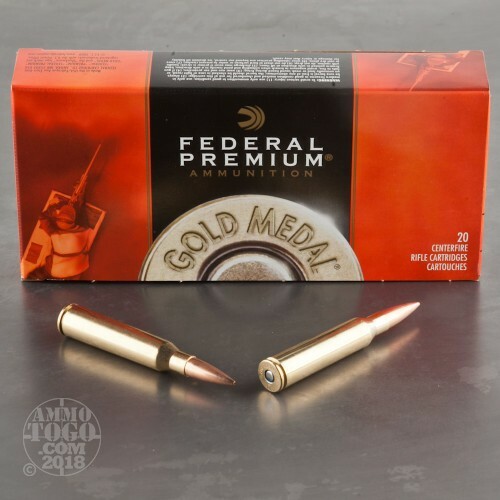 This cartridge’s hair-splitting bullet is complemented by Federal’s new production brass casing, specially formulated propellant, and benchrest quality Gold Medal primer. 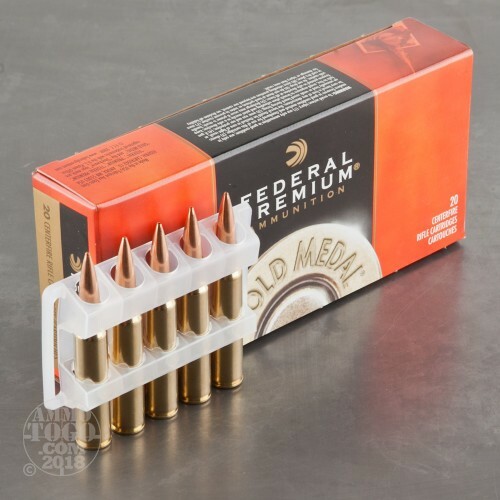 It all ties together to give you the stuff for dead-on accurate target shooting, ideal for competition and practice alike.